When famous British motor manufacturers fail financially--which, in the past at least, they have usually done through continuing to make the sort of cars which people like making instead of the sort which the public likes buying—they are customarily taken over by some larger industrial undertaking, so that the name at least remains, even if the product it attaches to ceases to bear any very obvious resemblance to its ancestors. Thus Daimler, although from the first this oldest of English makes was apt to be the plaything of company promoters, now finds itself part of the Birmingham Small Arms group; Napier is attached to the English Electric Company; Wolseley to the British Motor Corporation; Sunbeam and Talbot to the Rootes Group; Vauxhall to General Motors; and Bentley to Rolls-Royce Ltd.—to mention just a few which spring to mind. In France, on the other hand, things do not seem to happen like that. Of the oldest French makers, Panhard et Levassor and Peugeot still survive, more or less as glorified family businesses, a thing which seems to be unheard of in this country. Renault, but for the accidents of politics, would probably have survived also this time as an industrial giant; but of the rest, shall we say, of the French participants in the Paris-Madrid race of 1903, most seem to have disappeared without trace. No one, I should have thought, had heard for years even of Mors, the winner. Experience, admittedly, has taught me not to be too complacent about such assumptions. In one of these post-war years, I was looking at a catalogue of the Paris Salon, and was somewhat surprised to find that, according to the plan, one of the stands was occupied by Lorraine. Now Lorraine, as is well known, is the new-fangled name for the De Dietrich, such as Charles Jarrott drove into third place in the big-car class of Paris-Madrid, but no one seemed to have informed me that De Dietrich were still making cars, even under the name of Lorraine. Nor could any of the people who had visited that post-war Paris Salon tell me much about this mysterious Lorraine stand, except that one of the pundits opined that perhaps the firm now made a lorry. I could believe it of De Dietrich, who in their time have made all sorts of things, from railway rolling stock to motor cars designed by Bugatti, but this piece of information did not influence my view that Mors was as dead as the dodo. This assumption had nothing to do with the fact that the word means "death" in Latin, which is as irrelevant as the fact that in French it means a "horse's bit," because in the name the "s" is sounded, so that it is pronounced like the French word "morse," meaning a walrus, which is also quite irrelevant. The assumption was based, on the contrary, on the fact that the "Catalogue des Catalogues" for 1925 showed that the Mors car was still being made, while the name of the winner of Paris-Madrid was absent from the 1926 edition; and that, as far as I was concerned, was the last I had heard of it. If I confined my reading to the motor papers, that, I suspect, would still be the last I had heard of it. But the other day I was reading the Financial Times, and in that estimable journal came upon an article about the French motor-cycle industry. French makers, I read, had been alarmed at the invasion of their market by Italian scooters, and some of them, such as Peugeot, had started to make scooters themselves. So far nothing in the article greatly surprised me, and then suddenly I came upon this portentous announcement. "Another newcomer in the field," declared the Financial Times, "the Mors company (whose main activity is electrical engineering) also proposes to raise its monthly output of scooters to some 1,000 units . . ."
Clearly the word "mors" should mean neither death nor a bit, nor a walrus; it should mean a phoenix. 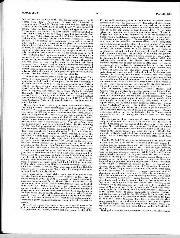 I quote from La France Automobile of February 8th, 1900 : "It was in September, 1896, that M.M. Mors, who until then had been solely occupied in their Grenelle factory with electrical apparatus for telegraphs, telephones and railway signals, embarked on plans for their first automobile ..." Substitute, as an all too apposite sign of the times, the word scooter for automobile, and we are back, evidently, to 1896. History, apparently, does repeat itself. Will there, one wonders, one of these days be another race from Paris to Madrid, or at least Bordeaux, this time for scooters ? 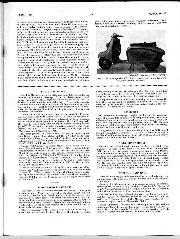 The Financial Times is reticent with regard to the mechanical details of the 1955 Mors scooter. The Mors automobile of 1896, however, according to Gerard Lavergne, "had a motor with two opposite cylinders. It was a light car with stepped-cone speed-changing gear and a belt and toothed reversing gear. ..." Although he does not say so, it also of course, had electric ignition, like the Benz, and in contrast to the Panhard, which used burners and platinum tubes. In retrospect this appears as a highly advanced feature, but it is at least a curiosity of history that during the Nineteenth Century it seems to have conferred no advantage whatever on its exponents, at any rate as far as racing was concerned : Panhard remained unbeatable until 1900—the very year, incidentally, in which this then highly conservative firm adopted electric ignition. Therein may be some consolation for those who, in subsequent years, have longed at times for on all-unelectric car. In any case. this first Mors model, again according to Lavergne, "seems to have been abandoned, or at least modified, to make the No. 4 type," which was the voiturette exhibited at the Tuileries in 1899. This also had "two opposite cylinders" and, apparently, dry-sump lubrication, since Lavergne declares that "lubrication is assured by a multiple delivery apparatus which conveys the lubricant to each part, and consequently there is no oil in the gear-case. ; the advantage of this is that the cylinders do not fill with liquid and the valves are not fouled." For all I know, the flat-twin design may have been modified again now to make the scooter. Even by 1899, however, Mors had by no means confined their attention to flat twins. 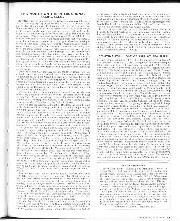 Indeed the second type of car, which had "a motor with four cylinders inclined at 45 deg.," must have followed hard on the heels of the first, for Lavergne states that it "dates from 1896." This motor, he says, was "intended to economise space," and W. Worby Beaumont explains that it was "placed on one side at the back end of the boot. "In its mechanical design," adds the latter authority, this second type of Mors car "bears some resemblance to the Benz vehicle," a statement which is borne out not only by the fact that it used belt transmission but also because "the driver sits on the left-hand forward seat," a position which was long frowned on in more conservative French quarters. "The motor," says Beaumont, "is started by means of a key handle . 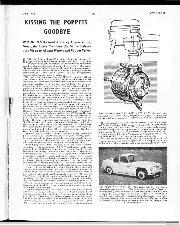 . . two or three turns are given to the key handle which will start the motor." With the aid of the electric ignition, no more, no doubt, was necessary, but one suspects that the motor must have taken some time to warm up, in spite of the fact that only the cylinder heads were water-cooled, the barrels being provided with "radiating fins," as the carburetter, instead of being put in the angle of the vee engine, arranged with its crankshaft running across the car, was located forward of the whole unit, with separate induction pipes to each cylinder, those to the back pair being immensely long. A separate throttle valve, moreover, was provided in each induction pipe, at the cylinder end, and the driver could control these by pairs, so that, if he liked, he could "cut out one pair only, so halving the power of the engine," in spite of which, it was claimed, "the four-cylinder motor runs very steadily." 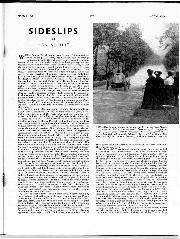 "Most of the vehicles fitted with them," adds Beaumont, "are arranged for high speeds "; and indeed, by July, 1897, less than a year after he had "embarked on plans for his first automobile," M. Emile Mors decided to go racing on one of them, from Paris to Dieppe. He drove a 5-h.p. two-seater, and had every reason to be pleased with his first effort, as he finished seventh, at 19.6 m.p.h., while Hourgieres, the winner, on a 6-h.p. Panhard, averaged 23.1 m.p.h.. The next year the output of the Mors engine was increased to 6 h.p., but by now the Panhards were using a vertical four-cylinder 8-h.p. instead of the 6-h.p. twin of 1897, and in the Paris-Amsterdam-Paris race it was obvious that the Mors was no match for them. Messrs. Mors, however, were by no means obstinately wedded to their design bearing "some resemblance to the Benz vehicle," even if a motor "placed on one side at the back end of the boot" did save space. In 1898 they came to the conclusion that it was Levassor who had really found the answer, with his vertical engine in front, sliding-pinion change-speed gear, and final drive by side chains. Before the year was out, they had exhibited a phaeton on these lines, with an 8-h.p. vertical two-cylinder motor "carried in front, as in the Panhard car "—and with right-hand drive. By the beginning of 1899 they had progressed to a similar car with a 16-h.p. 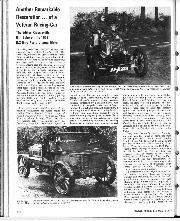 four-cylinder engine, which, recorded Beaumont later in the year, "has done some remarkable running this spring." By July, when the great race of the year, the Tour de France, was run, however, the new Mors, in Gerald Rose's view, was still "only in the experimental stage," but by September the experiments had evidently been successful, for in the Paris-Ostend race, Levegh on the Mors was matched against Girardot on a Panhard, and the two of them succeeded in dead-heating in a 200-mile race, the only time, as far as I can think, that such a thing has ever happened in a motor race. Until now, Panhard had never failed to win the great race of the year, but in 1900 Mors finally showed what other people could do when at last they had learnt to build cars on Panhard lines, and in July Levegh on his 24-h.p. finally defeated the senior marque by winning Paris-Toulouse-Paris. The next year, Mors did it again, when Fournier won Paris-Berlin, and Panhard had to wait until 1902 for their revenge, when Mors were almost completely unsuccessful in Paris-Vienna. Then, in 1903, came Paris-Madrid and Gabriel's wonderful drive, when, on his 70-hp. 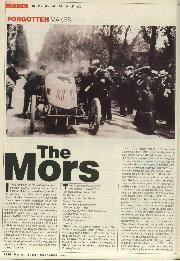 Mors, he averaged 65.3 miles an hour from Paris to Bordeaux. Mors never reached these heights again, and after getting a car into the French Gordon Bennett team in 1904, the firm gave up serious racing in 1905. In 1908 it proposed to make a come-back, three cars being entered for the Grand Prix at double fees at the last moment, one of which failed to start while the other two finished quite creditably. 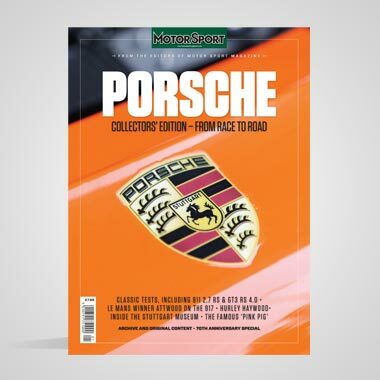 But racing by now had become an extremely expensive business—so much so that the Grand Prix was abandoned altogether in 1909—and the 1908 effort seems,to have been too much for Mors financially, as shortly afterwards it had to write down its capital. However, what with expenditure on racing and the aftermath of the American slump of 1907, most French motor manufacturers had a pretty chequered financial career during the Edwardian period. In Mors' case, moreover, there seemed to be special reasons for believing that such embarrassments would prove purely temporary. "Its president, M. Citroen, a really first-class man," predicted La Vie Automobile confidently in 1910, "will be able to repair the errors committed by one of his predecessors." The nature of these reparations was not immediately apparent, except, perhaps, to the company's shareholders, who may have seen a steady improvement from then on in the appearance of their balance sheet. 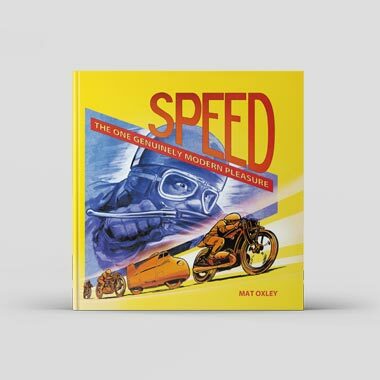 A few years before this, however, an American gentleman named Charles Y. Knight had electrified the motoring world by his appearance in Europe with a revolutionary engine, in which sleeve-valves replaced the hitherto universal poppets. He was apparently convinced that, as a result of his invention, the latter would soon be completely superseded, and, it must be admitted, a large number of the most eminent engineers were inclined to agree with him. To begin with, however, Mr. Knight seems to have decided that it would be unsuitable for all and sundry to be permitted to make motor cars with up-to-date engines; the privilege of exploiting his patents should be reserved to the leading manufacturer in each country. In England, he decided, this was Daimler, a decision which may perhaps have somewhat riled Messrs. Rolls-Royce, and which certainly inspired one of their directors to utter some very caustic criticisms of sleeve-valves, in anonymous letters to the motor papers. The leading French maker, in Mr. Knight's opinion, was Panhard et Levassor, who also gladly accepted his invitation to make sleeve-valve engines, and continued to do so for the next three decades. In Germany he nominated Mercedes, who were rather more half-hearted about it, making some sleeve-valve models but never wholly abandoning the poppet-valve; and in Belgium Minerva, who were as enthusiastic about it as were Panhard et Levassor in France. I have never seen any reference to Mr. Knight's attempts, if indeed he made any, to nominate a beneficiary in Italy. 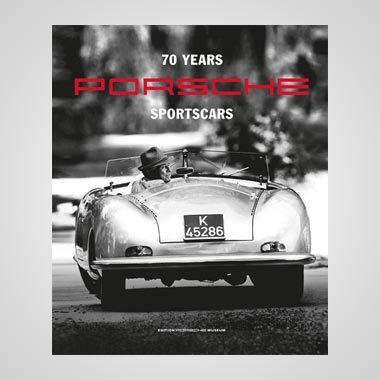 For the present, therefore, Daimler, Panhard, Mercedes and Minerva were in a position to gloat and repeat those famous lines, "We are the chosen few. All others shall be damned. There is no room in Heaven for you—we can't have Heaven crammed !" And, indeed, in France a great number, if not all, of other manufacturers were brought to the verge of ruin, not by being forced to stick to poppet-valves, but by seeking after disastrous alternative versions of the "valveless" engine. After a time, however, Mr. Knight apparently relented, and decided that others might be admitted to the sleeve-valve Heaven, even at the risk of overcrowding. Messrs. Rolls-Royce did not accept the invitation, but in France several manufacturers did, and among the first of them was the Mors company. For this there may have been a special reason. Its president, that really first-class man M. Andre Citroen, who had already conferred on the Mors company the benefit of his chevron-cut gears, had a brother, M. David Citroen, who represented the Minerva company in England. 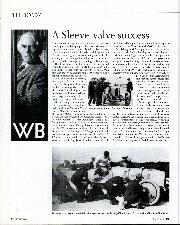 In consequence they doubtless knew all about sleeve-valves in the Citroen family, and before the end of 1912 the first Mors with a Knight engine had been announced to an appreciative public. By 1914 this type of engine had been fitted to all Mors models. Possibly M. Andre Citroen was also influenced by the thought that in 1899 Mors had leapt into the front rank of French makers by building cars on Panhard lines, and that the same result might be achieved by flattering imitation in 1912. There are signs, however, that, apart from family connections, it was Minerva, which this time was the more prominent exemplar. While Daimler and Panhard were primarily interested, in the years before the first war, in the qualities of silence possessed by the Knight engine, Minerva were inclined to see in it also a solution to the apparent limitation imposed by the poppet-valve upon engine speed—a limitation which others sought to circumvent, notably in 1914, by desmodromic devices. As a result, they built a team of Knight-engined racers for the 1914 Tourist Trophy race in the Isle of Man, which, after being very nearly warned off the course for going round in a cloud of almost impenetrable blue smoke, proved itself easily the most successful in the competition, and gave the winning Sunbeam, with a most up-to-date racing poppet-valve engine, designed on Henry lines, an exceedingly good run for its money. Later in that same season, in September, the Coupe de l'Auto race was to have been run in the Auvergne for 2 1/2-litre cars, and this event was to have marked the return of Mors to racing. In fact, of course, the French were otherwise occupied by September, and I have never seen a description of the 2 1/2-litre Mors. It seems permissible to surmise, however. that the two cars entered for the 1914 Coupe de l'Auto were or at least were intended to be, sleeve-valve racers somewhat on the lines of the Tourist Trophy Minervas. Fate, however, decreed that they should never be given the chance to measure their prowess against the 2 1/2-litre Peugeot, also with a Henry-designed engine, which was expected to win the race and which did win the Targa Florio after the war. During the 'twenties the development of the sleeve-valve engine for racing was continued in France, notably by Peugeot and Voisin, but not by Mors. Mors continued, until about 1925, to make cars with sleeve-valve engines, which were, according to the contemporary advertisements, "simpler, souples, silencieuses." It sounds, in fact, as if the firm was now more interested in those qualities of silence, sought pre-eminently before the war by Daimler and Panhard, than in the pursuit of power. In any case, the whole thing was, I should imagine, on a pretty small scale. For that really first-class man M. Citroen had by now shown himself to be really too first-class to be content to remain on as president of the Mors company. In 1919, in fact, he had decided to set up on his own, and by some arrangement the details of which are, I must admit, obscure to me, took over the main Mors factory in order to make the Citroen car. Possibly he proposed to Mors that modern conditions demanded mass-production, and Mors, true to the traditions of quality workmanship typical of old-established electrical engineers, refused to countenance the idea. Most people who preferred to go on making cars in the old-fashioned craftsman way duly went broke in the slump which started in 1929. Mors were perhaps wise in their generation in that they had already stopped making cars before the slump happened. With the disappearance of the car, I had rashly assumed that the firm had gone out of business. On the contrary, it now seems, it had merely returned to its last of electrical engineering. from which the incursion into motor manufacturing of thirty years before now appears as a mere temporary aberration. As a result, it evidently survived the slump, and the second world war. And now it is making scooters .